Jonelle Davis of Davis Design Group creates timeless client-specific design solutions with emphasis on beauty, comfort and budget. She believes good interior design begins with understanding the vision and dreams of her clients. Her years of experience have forged outstanding working relationships with contractors and suppliers that support and benefit her clients till the completion of the project. It is my goal to assist you in making your home “your home”. A place you can Live, Work, Play, Entertain and Relax. I am a 25 year frequently INSPIRED, full time independent Interior design practitioner with experience spanning commercial real estate planning work to residential design. I pursue beauty, excellence and service beyond client expectations while keeping projects grounded in the realities of available time, resources & budget. I LOVE "SIMPLE... DONE WELL"! Years of time & effort have been invested in developing a repeat TEAM of skilled craftsman, vendors, workmen and artists I trust to support me in providing design and services that are no less than excellent. Our work together is based on happy clients and previous successful projects. I COMPOSE and create interiors that are: Transitional Contemporary Modern Mid-century modern Contemporary urban Modern design with Sonoran desert touches Modern design with Western Rustic elements Modern design with a world culture vibe Traditional eclectic Modern eclectic Eclectic ALL INTERIOR DESIGN PLANNING IS PROOFED through accurate space planning standards, artistic aesthetics, ergonomic dimensions, energy concerns, aging in place features, "well care / healing" options and checked against real estate value realities, construction givens and architectural considerations that may overlap into the focus of a homeowner, builder, contractor, structural engineer or architect. PRODUCTS, SOURCES and CUSTOM built items can be from anywhere and everywhere! I weekly learn about deals from the simple to the sublime. From on line sellers, discount sellers, craigslist and consignment stores to designer showrooms, antique dealer-auction sites and reclaimed architectural materials ….it’s all grist for a creative space. CREATIVE & AFFORDABLE GOALS can easily be met using LOCAL craftsmen, vendors & talent. Also, I like to patronize ETSY artists or seek out remarkable "world culture" products like the incredibly beautiful baskets made by the farmers in the Bolgatanga region of northern Ghana. DESIGN INSPIRATION is everywhere and can come from faraway places experienced on a vacation or business trip or be as close as a neighbourhood estate sale, a Saturday Farmer's Market, a specialty retailer around the corner or even in your grandparent’s attic! It’s all an adventure & sometimes this mind-set can take you to unexpected, funny or thrilling places. It's my pleasure to be a design inspiration catalyst, a partner or a guide for the INTERIORS OF YOUR LIFE. Nicole Lee Interior Designs LLC is a full-service boutique interior design firm located in Phoenix, Arizona. With an eye for detail and a passion for classic design, Nicole puts her 10 years of experience and design expertise to work with each and every client. Nicole breathes cheerful new life into her clients' homes, making them an inviting retreat for families, but also a sophisticated and stylish place to entertain guests. The moment you meet Nicole, you know that she is a warm and trustworthy friend - and you know that you are going to have fun! Nicole's laid back approach puts her customers at ease and makes the process truly enjoyable with lots of laughs. Her signature approach involves understanding how her clients live and discovering which key elements are most important to create a warm, inviting space, yet keeping a polished and sophisticated note to each element of every room. 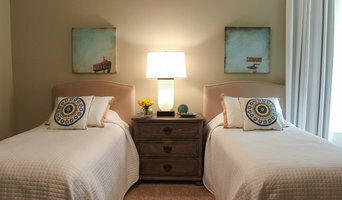 Two Gals Interiors is an Interior Design and Styling company who believes in the promotion of well being in your home. Hellooo, who wants to wake up to be inspired to conquer the day and be excited to come home to your perfect zen? We are here to empower anyone who is in the need of a little love and encouragement in the place that they call home. We know the essentials of a happy home and how to achieve the goals that you have been pinning on Pinterest or liking on Instagram. We are queens of any budget and mixing new with old treasures. Earthy elements paired with neutrals + naturals is what is capturing our eyes this season. We do it all - style refresh to full scale remodeling, you want it we gotcha. AB Design Elements is a residential interior architecture and design firm specializing in fine custom homes, remodels over 100k, and furnishings. We are a team focused on transforming homes and lifestyles through seriously beautiful design and we value client relationships, creative thinking, the importance of details, the power of positive thinking and the beauty of simple elegant design! We are proud to have earned 20 design awards since 2012 including (12) first place ASID Design Excellence awards and 'Best of Show'. Our projects are frequently featured in design magazines. In 2017, Amy was named a Master of the Southwest award winner and 'Designer of the Year' by Toto/Brizo, as well as one of 'Arizona's Most Inspiring Women' in 2016 by Phoenix Home and Garden Magazine. Amy and her team continue to strive for excellence in customer contentment and unique ways to deliver beautiful and functional design for interior spaces. Interior architecture and design is more than interior decorating. Interior architecture can encompass a full remodel with space plans that indicate relocation of walls, lighting, electrical, kitchen and bath layouts, and additional square footage. We also work on custom home projects, which also require close coordination with the architect, client, and contractors to preserve the design intent while staying within budget and schedule constraints. The furnishings, art and accessories complete interior spaces and are integral to the style, 'feel' and functionality. The interior architect/designer is the link between the client and contractor and can provide technical drawings and a comprehensive design 'plan' from which to build. Interior design is a fusion of balanced (and beautiful) design elements, a collaborative process and the realities of budget. It is architecture for the interior. We most often work on a flat fee basis based on your scope of work. We can also work on an hourly consultant fee depending on our schedule. We would love to hear about your project and discuss process and fees based on your project specifics! 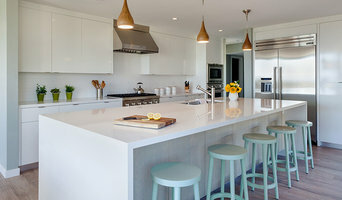 5X Best of Houzz Award Winner! Interior Design Firm based out of Phoenix Arizona. Lexi graduated from American Institute of Interior Design (AIID). After working in the design world for many years Lexi decided to open her own business in 2014 and Lexi Westergard Design was born. We strive to take the ideas and input from our clients while incorporating our own professional touch to create a space that is elegant and fresh. We feel that mixing different styles of furniture with unique textures and patterns helps to create a space that is not only livable, but beautiful. Guided Home Design is a full-service interior design firm located in Scottsdale, Arizona. Karen Ippolito, owner, and design director takes pride in the way the company combines function and style to create environments that truly represent your home. We work closely with each of our clients to discover a look that is both timeless and fresh within a full range of styles. Clients entrust our team from the inception of their projects; from the blueprint stage to the final throw pillow or accessory. In fact, we are comfortable working on projects both big and small and give all of them our unique touch. Guided Home Design is also able to act as general manager for your remodeling needs. We rely on our own creativity and vision as well as a wide circle of trusted artisans, merchants, suppliers, and subcontractors to bring a one-of-a-kind look to a project. Guided Home Design has a well-deserved reputation for creating comfortable spaces with both practicality and beauty in mind. We feel design work is an intimate process and are very gratified that so many of our design projects have started out as professional relationships, but have ended in ongoing friendships. Visit our website or give us a call to learn and meet our team. We look forward to discussing plans for your home! Custom Interiors & Construction for Phoenix Best of Houzz 2014-2018! “Ever since I was a little girl, I enjoyed building structures and creating interiors; my childhood room was filled with Lego homes, wood block buildings, armoire shelves that had lost their original purpose and been turned into my doll’s luxurious Paris flats, equipped with furniture and finishes and all amenities”. - Benedicte With over twelve years of experience in high end residential design in Los Angeles CA and Phoenix AZ, Bénédicte Torrington brings to your home the talent, chic and “know-how” that will help create your dream environment. A native of France, she is able to infuse her sophisticated flair into her designs and translate her client’s vision into timeless, glamorous and stylish interiors that reflect their personalities and support their life styles. “My interiors must feel lived in. They are “home” and carry the print of their inhabitants. I like to de-clutter a space to where it is manageable and repopulate it with essential pieces, personal objects and a few elements that give it a unique and particular flavor”. Bénédicte Torrington helps her clients feel and create profound emotional responses to their environments. Maximizing home makeovers on limited budgets with all the right finishing touches. I work with clients on bathroom remodels, kitchen remodels, window treatments, furnishings, etc. My goal is to find the right materials and overall design strategy so that the home owners loves their home even more than they thought they could. I always keep budget in mind and my goal is to have strong communication and relationships with my clients, as the majority of my design business comes from referrals. At Artful Design Interiors, we believe your home should have a warm and uplifting effect on everyone who enters and be a beautiful reflection of you. Kathleen Mouallem and her team at Artful Design Interiors have the expertise and experience to guide you through the construction process and transform your dreams into reality. Ms. Mouallem is an award-winning professional member of the American Society of Interior Designers. Her work has been featured in Phoenix Home & Garden Magazine and Desert Design Magazine. If you are considering remodeling your home or building a new residence, call Kathleen today to schedule an appointment. Experience how the professional designers at Artful Design Interiors can make your home a work of art. Owner Lynda Martin has a degree in Interior Design from Arizona State University. She is experienced in working as a team with architects and builders for over 20 years in Arizona and throughout the country. An award winning designer, Lynda also brings both expertise and construction knowledge to the team. Our projects can be defined as sophisticated with a tailored feel; clean lined and yet luxurious. We listen to our clients' needs and help them realize their dreams no matter what their design aesthetic. We approach each project as if it was our own, paying close attention to the details and transitions in order to create cohesive, well thought out interior space. Camelback Interior Design has extensive experience with custom remodels, new home construction, light commercial and health care design. 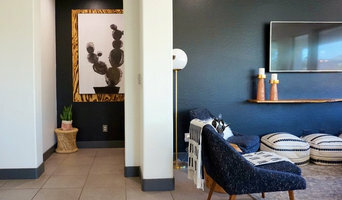 Camille Self Designs is a 2019 ASID award-winning interior design firm and works collaboratively with clients and artisans to achieve functional and inviting spaces that define each client's unique definition of "home". The firm brings innovative design skills to each project transforming average spaces into a place for gathering, relaxing and enjoying an artful existence. We strive to create personal and unique interiors with great attention to design detail. The intentional effort to surround the client with both artful and functional interiors is key to the firm’s success. Listening closely to clients and their families to understand their lifestyles and create environments that comfort and revive is the purpose of her design. We work collaboratively, combining the desires of the clients, with skills of professionals and artisans to complete each project. Interiors Remembered, Inc. ASID Award Winning Full Service Interior Design Firm for 25 years, brings together all aspects of interior design, including textiles, furnishings, accessories, lighting and architectural elements. Not only can we implement the loftiest creative visions, but we also provide expert project management as well as budgeting and purchasing services, which includes remodels. Your home and office should reflect what you are; let us make it truly beautiful no matter your style. Interiors Remembered, Inc. can work with you to showcase your personality whether you prefer period, eclectic or modern interior design. Phoenix Award Winning Interior Designer | Best of Houzz 2013-2017!